Amy Less Shope is a Partner at Lehner Carroll Shope Capital Management bringing over 25 years of banking industry experience to our team. 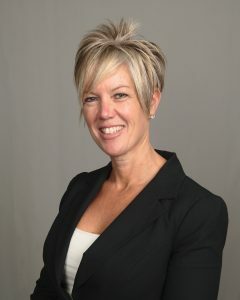 Amy assists all types of clients with their financial planning and investment needs. Upon her graduation from Kent State University, Amy accepted a managerial position with Bank One Youngstown. During her career, Amy has received several awards and recognition for her achievements in service while building and deepening client relationships in the Youngstown, Akron, Canton, and Alliance communities. Not only does Amy hold her securities licenses 7 & 66 through FINRA, but also her Ohio Life, Health, and Variable Annuity licenses. Amy has enjoyed a successful career as a financial advisor focusing the majority of her work on helping businesses and individuals assess their financial needs to achieve their goals and passions. Her experiences within the investment and banking industry provide the added value of broad-based knowledge in the areas of wealth planning, insurance planning, and financial planning. Amy spends her days doing what she loves best, which is meeting with her clients, reviewing portfolios, and providing exceptional service LCS strives to provide. Since opening her own office, Amy has discovered a passion for empowering women, especially female entrepreneurs. This has led to her hosting monthly gatherings called the “Women’s Power Lunch” series where like-minded women are able to connect, network, and collaborate. The “Women’s Power Lunch” series has become a favorite event for many local women and business owners. For more than 10 years, Amy has been actively involved in a variety of charitable and social organizations in the autism community, as well as being a board member with the Autism Society of Mahoning Valley. She also serves on the Advisory Board of Spectrum Education Center at Mount Union University. Amy currently resides in Canfield with her husband, Kevin, and their daughter Anderson. Her son, Dylan, lives in Campbell within a group home through The Purple Cat while attending Kidslink School for Autism, in Streetsboro. Her daughter, Anderson, is a student-athlete at Cardinal Mooney High School in Youngstown, OH. Amy loves to spend her free time reading, working out with her cross fit family at the Train Station, and enjoying her children’s activities and sporting events with her husband.